As a self-proclaimed fashionista I recently took a good hard look at my love for fashion and beautiful things. I tried to reflect on the “why” of my attraction, to search inwardly for and hopefully find the real, deep, and more complex reality of the reason behind my strong gravitational pull toward beauty. What is true for me in this world, I realized, is that I think of my life as essentially spiritual in nature, and that all things — even fashion — stem back to an attribute of God I love and admire. – Abdu’l-Baha, as quoted in “A Brief Account of My Visit to Acca“, pp. 11-14. Beauty is an attribute of God. Look around you – the natural world absolutely without question has the power to stun us all with its beauty. 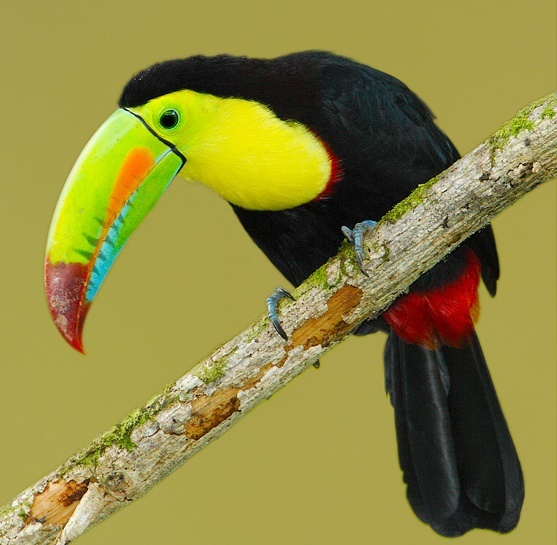 God perfectly fashions all things, from the famous sunsets of the Serengeti to the gorgeous and perfectly architected Toco Toucan bird in the Brazilian savanna. If you really look at the entire creation, God never ceases to amaze us with His creativity and wonder. Human artists, designers, painters, sculptors and musicians can channel that beautiful love God has for us to create perfect and diverse beauty in every direction we gaze. Appreciating this beauty, regardless of where you find it, reflects our spiritual connection with nature. Beauty ultimately proves the existence of a Creator, the ultimate artist, the Master of all organized symmetry and asymmetry, of light, and perfection. To reach this transcendent happiness and love can give us the spiritual contentment that allows us to appreciate all the beauty we see, regardless of how great or small or wherever we happen to experience it. If we open our minds and our hearts, we will see beauty and take from it that spiritual sustenance we all long for. Consider the world of created beings, how varied and diverse they are in species, yet with one sole origin. All the differences that appear are those of outward form and color. This diversity of type is apparent throughout the whole of nature…. Let us look… at the beauty in diversity, the beauty of harmony, and learn a lesson from the vegetable creation. If you behold a garden in which all the plants were the same as to form, color and perfume, it would not seem beautiful to you at all, but, rather, monotonous and dull. The garden which is pleasing to the eye and which makes the heart glad, is the garden in which are growing side by side flowers of every hue, form and perfume, and the joyous contrast of color is what makes for charm and beauty. So is it with trees. An orchard full of fruit trees is a delight; so is a plantation planted with many species of shrubs. It is just the diversity and variety that constitutes its charm; each flower, each tree, each fruit, beside being beautiful in itself, brings out by contrast the qualities of the others, and shows to advantage the special loveliness of each and all. – Abdu’l-Baha, Paris Talks. p. 51-53. I believe that physical beauty has a purpose — it leads us toward spiritual loveliness, which in turn leads us to experiencing the love of God. The beauty we all see, hear, feel, and taste affects the reality of our spiritual, and very real, existence. So next time you hear that beautiful piece of music which makes you incredibly happy or indulge in that culinary delight you love, remember that your reaction isn’t merely a physical experience but rather a spiritual one! Have You Ever Met a King or a Queen? I've always contended that the highest form of beauty is the highest form of spirituality. True beauty stirs the soul and elevates the heart. Thank you Gouya Zamani for your perspective! You have ably articulated an important theme that will eventually be realized in the process of reconstructing civilization. Indeed, as you know, one of the titles given to the Founder of the Baha'i Faith is the 'Blessed Beauty.' Also, one of the three daily obligatory prayers from which Baha'is choose includes this entreaty in its opening, "...make of my prayer a fire that will burn away the veils which have shut me out from Thy beauty..." And later, in the same prayer, one asks God, "...ordain that I may gaze on Thy beauty..."
Great question. I think if ones faith, love and level of happiness is dependent of ones beauty or possession of beautiful things, it will never be enough for them, they will continue to search for happiness by wanting more and never feeling satisfied. It is that attachment to things that is corrosive and creates greed and superficiality. Love for beauty should be free and not bound by a price tag. It's that great song that makes you happy, or a gorgeous gourmet dish, or a beautiful temple, or a beautifully embroidered Indian sorry dress. Sometimes that perfect ...shade of fuchsia can change your mood and make you feel happy. That's the connection, the spiritual and the physical in harmony! Do you think it requires well developed self-discipline to separate ego and attachment from the rapture of creativity and appreciation? I can picture someone saying "I love beauty, and beauty is an attribute of God" *while also* being rash, competitive, vain, greedy, etc. Any number of negative qualities can coexist with a love of beauty. We may at times rationalize ego as a love of beauty, without realizing it. *Any tips* on how to check oneself? Maybe it also has to do with sensation (internal) versus possession (material). ??? Beautifully written article, Gouya. Thank you! It got me thinking by reading this article, that a certain capacity needs to be invested in order to realize 'beauty' in things. Animals for example don't have this capacity and are not able to appreciate beauty the way a human can. One reaching to 'higher' levels of spirituality will probably allow oneself to see and discover beauties and symmetries that were unknown to him/her previously.